On February 4th until 14th 2018, SPE Unhas SC held an open recruitment for board and staff member of SPE Unhas SC 2018 period. This recruitment was followed by 21 person applicants who passed the online form test and excited to be a board or staff member of SPE Unhas SC 2018 period. 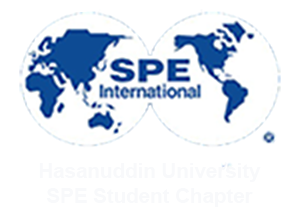 The enthusiasm of participants reflects that SPE Unhas SC has become one of the best organization in Department of Geophysics. The applicants who want to be a part of this organization must meet the requirements that exist in accordance with presented at Open House On February 7th 2018. They get information about open recruitment SPE Unhas SC 2018 from social media and relatives who had been a board member of SPE Unhas SC. Mr. Muh. Resky Ariansyah as President of SPE Unhas SC 2018 said that this year have more applicants than a year ago before he took office as President. The first thing done by the applicants is filling out the form either online or offline. After that, all of the file, will be reviewed and selected by our executive commitee. Followed after that, we will announce the names of applicants who qualify for an interview stage. A few days later, it was announced that the applicant’s name officially became a board or staff member of SPE Unhas SC 2018. For this year, the new board members are around 16 people while the staff members totalled in about 5 people, this results carried out accordance to their interviewed result. Lastly, we want to say welcome to our family, the new board and staff member, and we hope we can work and synergies together for SPE Unhas SC.